ArticlesBase is an online article library website and circulation center based in Ramat Gan, Israel. It provides a chance to authors who are keen to publish their articles for free and share their insight with the world as a means to increase their networking. 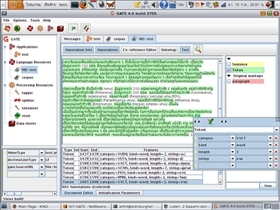 The articles, according to their subject, are stored and maintained in a database along with an articles directory. This helps users to locate articles by selective searches and simplifies the task of finding the required information. EzineArticles is a kind of a match-making venture that unites writers who want to contribute their articles and ideas with the experts of those trends who can use these articles for developing new policies. Writers having a widespread knowledge can post their contributions online at this site. The site serves as a database for newsletter publishers who are in constant search of fresh content. The ArticlesBase website was established in 2005 with a view to provide a free platform to aspiring writers, bloggers, critics, review writers, journalists and various other types of literary contributors to publish their work online. It offers an easy and free process, with no cost of publication. Moreover, the authors can enjoy this platform to publish their work without the intervention of any publishing houses. 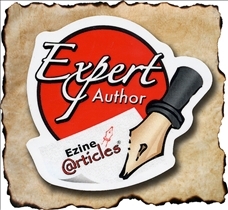 EzineArticles,the online directory for articles on multiple subjects was put online in 1999. The site was the brainchild of Chris Knight. Within a few years of its launch, this site has become a favorite for solution seekers. This property of the site makes it one of the most visited site worldwide the sea of millions of websites on the Internet today. One may wonder as to why a writer should submit his work to some online portal. The reason being, that many writers are capable of producing high quality of articles but they don’t have a proper, channelized circulation. At ArticlesBase.com a submitted article can be put up for viewing to readers worldwide. This website serves as a warehouse for people who are in search of free articles, which they put up on their own websites. On the other hand, at EzineArticles, the work submitted is managed by priority graded software that is designed to display articles to a large numbers of visitors of the site. The site also serves as an online directory for the publishing houses, which are looking for fresh material to publish in their periodic newsletters. This ensures a large readership of the articles and the authors can then rest assured of proper viewership. ArticlesBase has emerged as the better of the two websites examined here, based on the recent past. The website grew overnight at a very rapid rate. One can assess its growth such that, in mere months, 4 new versions (French, Russian, Spanish and Chinese) have been launched. Which article website is better? I was not aware with the difference between two sites available for the article submission.. The facts you explained in your post are very useful for all those who are looking forward to it.. I appreciate it..